NanoComm GA is an ultra-lightweight, custom-made aviation headset. The NanoComm GA weighs only 4g, which is less than 3% of the weight of a standard GA headset. The headset features a 2.8mm diameter boom microphone, coupled with a custom-moulded MEP 2G/INDUSTRIAL 2G earpiece in each ear, which ensures an extremely comfortable t when used for extended periods. 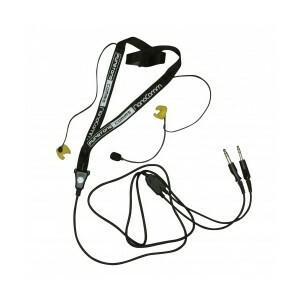 The NanoComm GA features a ‘Shape & Stay’ exible boom microphone for clear, noise free communications, as well as a quick-release lanyard, with cables running inside to each ear, thus keeping cables tidy. Every NanoComm GA is also tted with PJ055 & PJ068 jack plugs as standard (other connectors available).